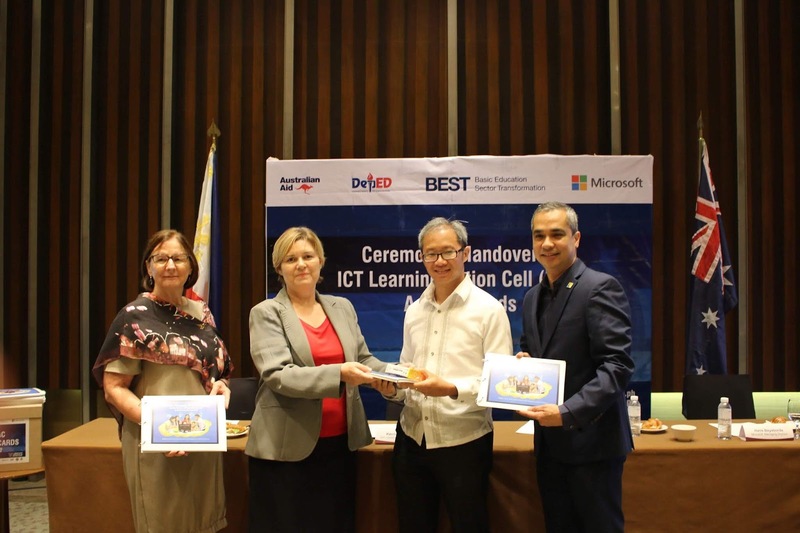 The Australian Government and Microsoft turned over Information and Communications Technology (ICT) Learning Action Cell (LAC) Activity Cards to the Department of Education (DepEd). The handover of ICT LAC Activity Cards to the DepEd is part of a long-standing partnership of the Philippine and Australian governments in advancing the quality of education. Together with Microsoft, they seek to improve the Philippines’ ICT literacy, teaching and learning, and increase capacity of youth to develop critical thinking skills. Prior to this partnership, there were no professional materials available for ICT literacy anchored on a Learning Action Cell mechanism, which is the DepEd’s school-based professional development for teachers. This partnership, marked by the handover today, will now result in the uploading of ready-to-use ICT LAC activity cards, quality-assured by both DepEd and Microsoft, and are made ready to be used by 578,386 teachers nationwide.